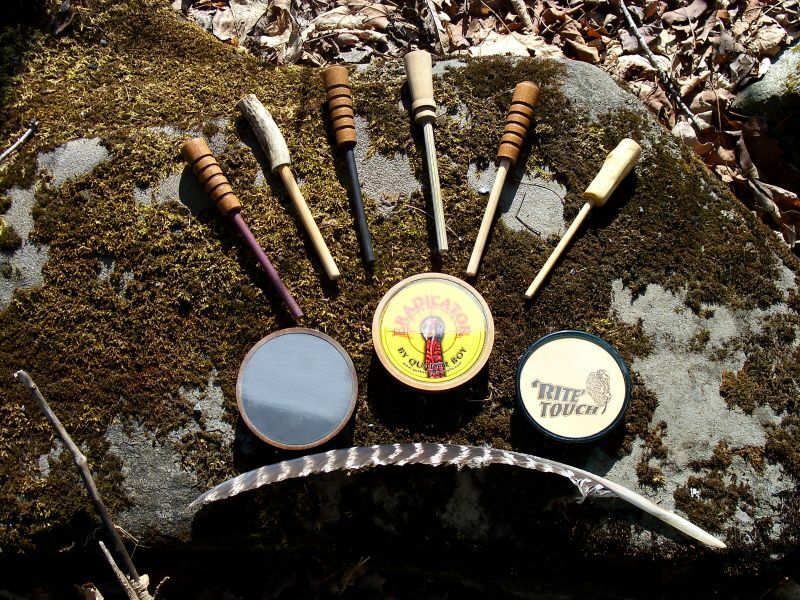 Let’s face it, the “pot and peg” and box style friction calls are the most widely used. They are easier to use than the mouth call, and with a little practice and understanding, you can have them sounding pretty sweet in no time. Follow these quick tips to help you tune up your “pot and peg” calling this season. Call makers use different woods, molded plastics, and some are using metal to create unique “pots” capable of different sounds desired. Hard and Exotic woods tend to give a sharper, crisper sound, while softer woods give a more mellow tone. Some plastics and metals produce a higher pitch. Whether you are using slate, glass, aluminum, copper, or plexi, each of the calling surfaces have their own characteristics to make different sounds depending on what type of “pot” they are set in. Calling surfaces such as glass or any of the metals produce sharper, louder calls. Slate and some of the manufactured surfaces will generally produce softer calls for when you are getting ready to seal the deal on that long beard. The “pot” can be matched up with many different “pegs” or strikers to make as many different turkey sounds. Strikers also come in a variety woods, laminates, carbon and aluminum. They come in different sizes and shapes. Some are one piece, some are two. 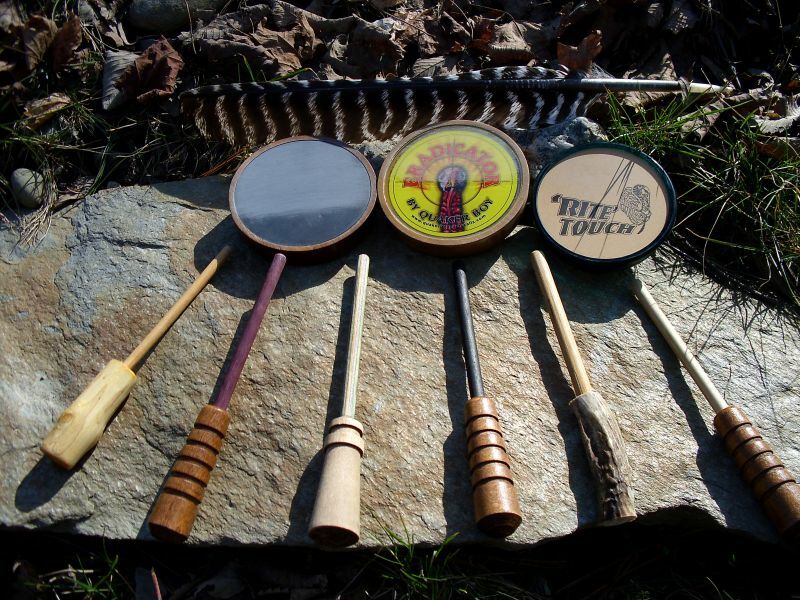 The different wood and other materials make different sounds just like the “pots.” Whatever calling surface you prefer, it’s good to have several different strikers in your vest so that you may be able to make a variety of sounds. Even though the yelp is still a yelp, each striker creates a different pitch on the calling surface. To the long beard it sounds like several different turkeys. Since we need friction and vibration to make the sounds we are after, we will need to rough up the calling surface and the striker. Glass calling surfaces need to be roughed up with a heavy grit sand paper (60 or 80 grit), or a condition stone, and all other surfaces can be prepped with a simple green scrubby pad. I like to prep my calls by scratching the surface across from side to side. 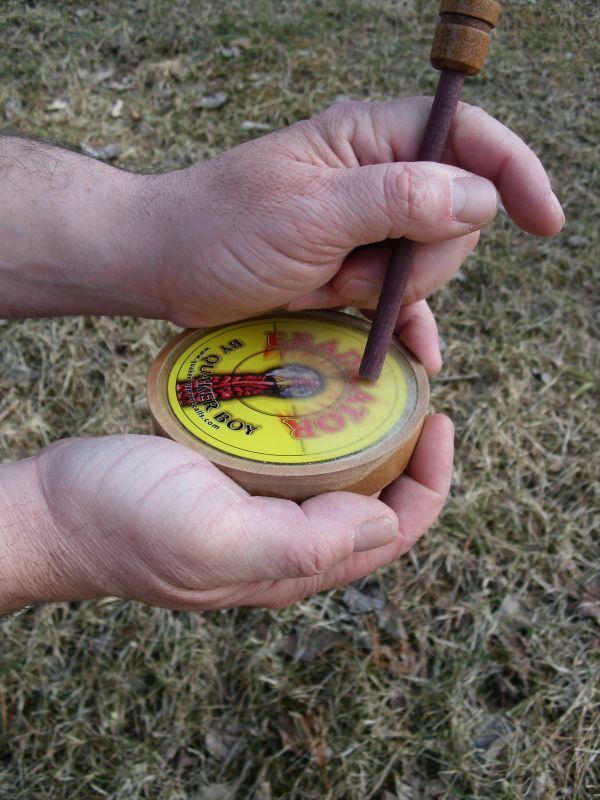 Some folks prefer to prep their calls in a circular motion. Either way you choose is fine. Remember, the purpose is to prepare the calling surface to create friction between the “pot” and “peg.” Strikers can easily be roughed up with some sand paper or a scrubby pad as well. Once both the striker and the call have been conditioned, it’s time to start calling. Now that the calling surface has been prepped, it’s time to make some turkey noises. Cup the “pot” in one hand, loosely, and grip the striker like holding a pen. Put the tip of the striker perpendicular on the calling surface and tip it forward (away from you) approximately 10 degrees or so. I like to put the heel of my striker hand on the edge of the “pot.” This allows me to have a good anchor point for my striker hand and produces more consistent calls. Try not to touch the calling surface or the tip of the striker with your hands. The oils and dirt from your hands will clog up the calling surfaces. Now that we are ready let us take a look at a couple of simple calls to help you get on your way to better calling. To create the yelp, hold the “pot” and striker as previously discussed. With light to medium pressure, draw about a ¾” oval across the calling surface with the striker. To string a series of yelps, draw the striker over the same oval. Remember to keep the striker on the calling surface for a more realistic sound. For the plain yelp, string together 1 to 5 notes. For an assembly yelp, string together 10-20 notes. In order to create the cluck, place the striker perpendicular to the call. Again, tip the striker away from you about 10-15 degrees. Using medium pressure, pull the striker towards you until the striker skips once across the calling surface. This should create a nice cluck. You can adjust your volume by either pressing harder or softer with the striker on the call. The purr is a great call to use to seal the deal with the big boy. The purr can be created by placing the striker perpendicular to the call and tipping it away from you a little. With light to medium pressure, drag the striker toward you until you feel the striker skipping across the calling surface. The length of the purr is determined by how long of a line you draw on the call. Use the cluck and purr together, with some scratching of the leaves to simulate a truly content feeding hen. These are only a few of the sounds of the wild turkey. However, these three calls are easy to master and they are the most widely used when it comes to consistently calling spring turkeys. Best of luck this spring, and I hope that these few tips make you a more successful hunter. Please support the National Wild Turkey Federation.